In Ukraine these services are just emerging and are becoming quite popular. In addition to our presence, today there are several other companies that have been established in Lviv and are offering their professional services. In spite of the novelty, housekeeping services are becoming more accessible not only to successful businesses, but also to everyday citizens who want to free up their precious time from domestic chores and still enjoy a tidy and orderly environment in their homes and offices. These services play a very important role in the business world. A clean and tidy office, as well as its surrounding territory and the commercial structure it is housed in, creates the initial image of any company. Additionally, clean and healthy facilities promote wellbeing and productivity of its employees. Using our housekeeping services on a regular basis, allows your premises to prolong their effectiveness, and may forestall any potential future repairs. It is important to recognize that our staff members are not just random cleaning individuals; they are professionals that have received special training. Hiring random persons to do your cleaning is quite passé in the modern business environment. 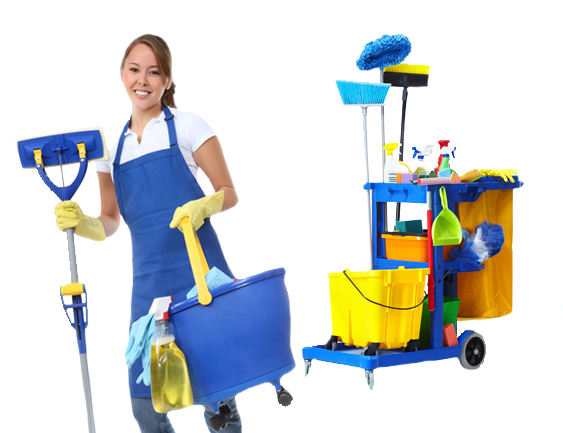 A professional housekeeping service company is indeed an indispensible part of your operations. By hiring us on a long-term basis as your cleaning service, you can certainly release not only your precious time, but abandon any worries regarding the technical and aesthetic condition of your office. «ROХAN» Co. offers a variety of cleaning services: housekeeping for the home, office and private cottages, clearing out and cleaning after remodeling and refurbishment, window and storefront washing, swimming pool and sauna maintenance, upholstered furniture cleaning and preservation, automobile interior scrubbing, yard work and lawn service, etc.